I wrote this article for breitbart.com and am now posting to my site. For the past decade the world has been inundated with governments and private industry marketing the need to be green to avoid or reduce carbon emissions. What has not been explained to the lay person or the tax payer is the implicit carbon taxation that is levied by the switch from traditional to “green” alternates. This article exposes the carbon emissions reduction taxation that has been levied on adopters of the so-called “green” alternatives, and shows that the level of taxation is, theoretically, many times the real market value of the carbon emissions. In one case, the level of taxation is actually infinite. In July 2012, the Energy Information Agency at the Department of Energy (EIA) provided levelized power generation costs by various methods of power generation. The least costly method is to generate power using natural gas as the fuel in an advanced combined cycle power station. Siemens sells such stations and claims that their state-of-the-art station will emit only 730 pounds of carbon dioxide per megawatt hour of power generated. 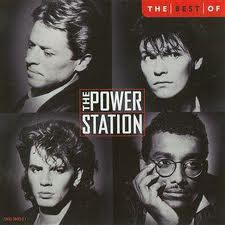 The EIA lists the levelized cost of power generation from such a power station as $63.10 per megawatt hour. Wind energy was also analyzed by the EIA and its levelized cost was estimated at $96 per megawatt hour. This is $32.90 additional cost per megawatt hour above the advanced combined cycle station but wind energy saves the 730 pounds of CO2 emissions per megawatt hour. Dividing the added cost by the saved emissions and converting pounds to short tons we get an added cost, or an implied emissions tax, of $90.13 per short ton of avoided carbon dioxide to generate power using the wind as the source of energy. This implied emissions reduction tax should be compared to the value of one short ton of CO2 emissions traded in the European cap-and-trade system. The value for carbon emissions on November 27, 2012 as listed by Bloomberg is only $8 per short ton (6.77 Euros per metric ton). Clearly the imputed emissions reduction tax for purchasing wind energy is more than ten times higher than the market value of the saved emissions. But wind is actually the most affordable alternate method for power generation. The same EIA report lists the levelized cost of power generation using solar PV as $152.70 per megawatt hour or some $89.60 per megawatt hour greater than the cost from advanced combined cycle power stations. Performing the same arithmetic the imputed emissions reduction tax for PV is $245.48 per short ton of CO2 or 30.6 times the market value. 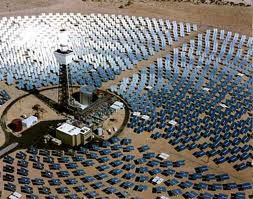 Hold onto your hats--the solar thermal project the DOE funded with $1.5 billion of your tax dollars in Ivanpah, California has a levelized cost of $242 per megawatt hour or some $178.90 per megawatt hour greater than the cost from advanced combined cycle power stations. Performing the same arithmetic, the imputed emissions reduction tax for solar thermal is $490.13 per short ton of CO2 or 61.2 times the market value. By now you are mad that the DOE has wasted money on expensive methods to reduce carbon emissions. It gets worse! The Federal government and California state government hand out money to motorists to buy plug in cars. Greenexplored has shown that the imputed tax to society of using electric power generated from natural gas in a Volt Plug-In compared with simply using the natural gas in a CNG Honda Civic costs society $2,675 per avoided short ton of CO2 emissions. This is 334.4 times the market value. By now you are fuming mad with our misguided energy policy! It still gets far worse. Actually, it gets infinitely worse. The Bloom Box that Al Gore and Colin Powell are involved with generates power for over $200 per megawatt hour. It, too, uses natural gas. Its stated emissions based on the permit filing in Delaware are 884 pounds of CO2 per megawatt hour. This device therefore generates more expensive power with greater carbon dioxide emissions than the advanced combined cycle power station using the very same natural gas fuel. Greater emission at higher cost means the imputed emissions reduction tax would be infinite. The Federal government gives a 30% investment tax credit to owners of the Bloom Box and California gives away an additional 15% tax credit. Perhaps Colin Powell, who sits on the Board of Directors of Bloom Energy can explain away these weapons of mass combustion? Or perhaps Al Gore, who is a partner in Kleiner Perkins, the major investor in Bloom Energy will simply say he invented new math to show the Box is green after all. 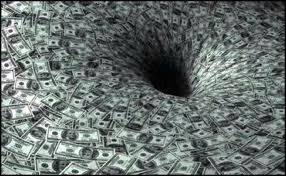 I blogged that Ivanpah is Solyndra times three in terms of wasted money by the Department Of Energy. $1.5 billion given for a hair-brain scheme to produce steam form concentrated solar and then generate electricity from the steam. Here is my blog on Breitbart about Ivanpah. My estimate of the cost of power generation from the Ivanpah project with profits to all involved in the development of the project is $250 per megawatt hour of electricity generated. This estimate agrees with the DOE’s EIA own estimate of average and leveled costs for power from concentrated solar projects starting up in 2017 which they pegged at $242 per mwh. Here is the US DOE EIA link to power generation costs for alternate electricity generation methods. The same EIA report pegged advanced combined cycle power generation from natural gas to cost $63.10 per megawatt hour. Per Siemens the emissions from an advanced combined cycle power station are approximately 730 pounds of CO2 per megawatt hour. Hence the imputed added cost (tax) to the American public is $178.90 ($242 -$63.10) divided by 730 pounds and equal to 24.51 cents per pound. This equals a tax of $490.13 per US ton of CO2. This is lower than the imputed tax of $2,675 per ton of avoided CO2 levied by the plug in Volt automobile. This is a hidden tax in utility bills for the customers of Southern California Edison and is also many times the level of emissions taxation in Europe where carbon credits are now trading for a mere $8 per US ton of CO2. Well done Secretary Chu you supported a smoke and mirrors project in the Mojave Dessert that taxes us at a rate of 6,126% times that of those green Europeans. Tom an avid reader of the Green Machine sent me an email and asked why not use natural gas to generate electricity and then use the electricity to power a plug in car like the Tesla. Well I would never allow anyone to use good electricity to fuel a Tesla but I will do the analysis of using grid electric power generated from natural gas to propel a Chev Volt versus a CNG powered Honda Civic. 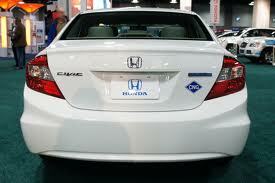 The CNG Civic can be bought for $26,305 and averages 33 MPG between city and highway driving. The Volt can travel a maximum of 40 miles on batteries and uses 0.4 kwh (DC) per mile. To help the Volt let’s assume the power station is a combined cycle power station with 57% efficiency (AC) and that 10% of the AC power is lost getting the AC power to the plug in the motorist’s home. Another 8% is lost getting the AC power as DC power in the battery. This means 0.48 kwh of AC power must be generated at the power station for each mile the Volt travels. 2,873 BTUs (LHV) of natural gas are needed to generate this amount of power for one mile of travel in the Volt. The Civic needs 3,485 BTUs per mile of travel and the compression of the CNG grosses this up by 5% to require 3,668 BTUs of natural gas from the utility per mile traveled in the Civic. Clearly the plug in Volt uses less natural gas than the CNG civic to travel a mile (2,873 versus 3,668 BTUs). Now let’s see how much CO2 is saved per mile by driving the Volt versus the CNG Civic. The math is tedious but I calculate the saving to be approximately 0.1 pounds of CO2 per mile. The Volt costs $39,145. Let’s ignore taxes and grants and simply compare the cost to society of the Volt versus the CNG Civic. The added first cost is $12,840. Let’s also assume that the cost of purchased electricity per mile is the same as the cost of purchased compressed gas and that the motorist spends a similar amount for an electric charger as they would for a gas compressor. This is the case if purchased electricity is 10 cents per kilowatt hour and natural gas is purchased at $1.20 per therm higher heating value. The chargers and compressors each cost about $2,000. If we amortize the added first cost over 8 years and assume the motorist drives 12,000 miles a year, we have an added cost of per year of $1,605 to save 1,200 pounds of CO2. This is a cost of $2,675 per US ton of CO2 emissions avoided. In Europe a US ton of CO2 trades for about $8 and in California the recent Cap and Trade auction yielded approximately $12 per US ton. Australia has a carbon tax of approximately $20 per US ton. By this example it is simply far too high a collective carbon tax to convert natural gas to electricity and use this electricity as a vehicle fuel when a simple CNG vehicle is the far more economic alternate. The government grants given to buy a Volt or other electric cars should rather be given to folks to buy a CNG car. Over the past six months, I have read dozens of articles that address how natural gas may play a role as a transportation fuel. The simplest way to use natural gas in a vehicle is to compress the gas to a high pressure (CNG) and use it as a direct substitute for gasoline in a spark ignited internal combustion engine. This is probably the best alternate as only 3 to 5% of the energy in the gas is wasted in compression of the gas and 95 to 97% of the fuel’s heating value remains for use as an alternate to gasoline. Of course the vehicle will have a heavier fuel tank resembling a welding cylinder and will lose some of its trunk space, but even with this disadvantage at least 95% of the fuel value remains intact for usage as a fuel aboard the vehicle. Also as methane has a ratio of four atoms of hydrogen to one atom of carbon it is a lower carbon fuel than gasoline and when burned to yield the same amount of energy methane will emit at least 20% less CO2 emissions per mile traveled than will gasoline. The second simplest method to use natural gas as a transportation fuel is to liquefy the gas (LNG) and store the gas as a cryogenic liquid aboard the vehicle at a very low temperature. Approximately 10% of the energy content of the natural gas is used in the liquefaction process. The advantage of LNG over CNG is that the fuel tank takes up less volume or more gas can be stored in the same volume on board the vehicle to increase the vehicle’s range. The cost to make LNG is also much higher than to make CNG and the LNG alternate in my opinion is less preferable than CNG but both alternates still are what I call “green” options as they lower carbon emissions. The third alternate is to convert the natural gas into gasoline in a gas to liquids (GTL) process. Approximately half of the energy content of the natural gas is lost in the GTL process and also the resulting gasoline like fuel is higher in carbon content than methane. Hence the desired goal of lowered carbon emissions simply does not result in this option. The only driver for this option is that the liquid fuel in GTL can be directly substituted for oil derived gasoline and there is no storage disadvantage. But this scenario basically defeats any purpose of emissions reduction and simply wastes half the energy in the natural gas. While there may be economic merit in GTL projects given the arbitrage in the value of liquid fuels over natural gas, there is no thermodynamic merit at all in GTL. In fact there is major thermodynamic and hence ecologic disadvantage. The fourth alternate is to convert the natural gas to hydrogen and then compress or liquefy hydrogen as a transportation fuel. This is kind of dumb as hydrogen gas is 1/8 as dense as natural gas and only has 2.5 times the heating value per pound. 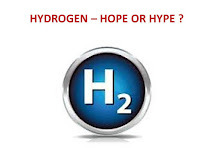 Hence compressing hydrogen means only 1/3 the fuel can be carried aboard the vehicle compared with natural gas. In addition one quarter of the energy in the natural gas is lost in its conversion to hydrogen. Liquid hydrogen is also approximately 1/8 as dense as LNG so it too makes no sense. Also liquid hydrogen needs about ¼ the energy in the gas for the compression energy to liquefy this extremely low boiling point gas. The fifth alternate being proposed is to convert the natural gas to hydrogen and then combine hydrogen with nitrogen to produce anhydrous ammonia as a liquid fuel. This has all the losses of producing hydrogen plus the energy to compress hydrogen and nitrogen to synthesize ammonia. On top of that the resulting fuel is only 3/17 by mass hydrogen and the remainder is nitrogen that adds no fuel value to the equation. Besides ammonia is a toxic and dangerous gas and the idea of using ammonia as a transportation fuel is almost a Rube Goldberg idea. The sixth idea is to reform (react) natural gas with steam and produce hydrogen and carbon monoxide. These gases are then fed to living organisms in bio reactors that convert the gases into liquid fuels. Of course this is a very expensive method of producing liquid fuels and probably the companies that are trying this will die of carbon monoxide poisoning. I actually prefer the ammonia idea to this almost idiotic idea. The final alternate is my own invention of the dual fuel vehicle with natural gas converted to methanol and then using a small quantity of methanol to augment a gasoline fired engine. My dual fuel idea has the most thermodynamic merit as the dual fuel vehicle will attain diesel type MPGs while using gasoline and disassociated methanol as the combined fuel in a high compression, lean burning, and non-throttled engine. When the added fuel efficiency of the dual fuel engine is credited against the energy lost to synthesize the methanol, the overall energy balance actually results in more energy saved than energy used in the natural gas to produce the methanol. This is basically because the engine should enjoy at least a 10% improvement in MPG while using methanol for perhaps only 5% of its fuel needs. Of course I wish the dual fuel approach will be widely adopted but failing that, I suggest we simply compress the natural gas and have many more CNG vehicles on the road. Presently, the US and Bolivia have approximately the same number of CNG vehicles in their respective fleets. The US must increase its natural gas use in vehicles by a hundred fold (two orders of magnitude) in the next ten to fifteen years. 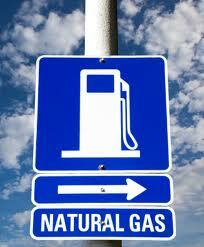 Natural gas is a great fuel and we are blessed with significant quantities. Let’s just use it wisely. Happy Thanksgiving to all my readers. I love Thanksgiving as it is truly all American. This blog will be short and will analyze the leftover turkey parts that are thrown out about a week after the fourth Thursday in the month of November. Americans will buy 581 million pounds of turkey meat for Thanksgiving this year but will trash more than a third of it, according to the Natural Resources Defense Council. 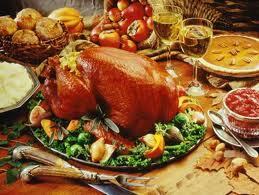 Some 204 million pounds of meat will end up in the garbage after the holiday feast, according to an NRDC blog post. The waste is especially appalling given that the resources required — including feed, water and transportation — to produce each pound of turkey are equivalent to fuel enough to drive a car 11 miles and take a 130-minute shower. Overall, that equates to greenhouse gas emissions equivalent to 800,000 car trips from New York to San Francisco and enough water to supply New York City for more than 100 days. Over the full year, Americans chuck out $165 billion in uneaten food, according to the NRDC. And turkey prices are not getting any cheaper. They are up 7% from a year ago, pushed by the severe summer drought, according to a report on food site Allrecipes.com. Consumers are now trying to find work-arounds, with two-thirds saying they will buy Thanksgiving ingredients on sale, according to Allrecipes. Nearly half plan to use a coupon or shop around at multiple outlets. Some consumers, though, are going in the opposite direction — they're planning to go for premium options such as heritage turkeys. These birds are more similar to the wild turkeys eaten during the original Thanksgiving festivities than today's domestic, farm-raised varieties, according to the National Wild Turkey Federation. Wild turkeys can run up to 25 mph, compared with the 23.35 mph averaged by Jamaican sprinterUsain Bolt, widely considered to be the fastest human alive. The fowl rarely exceed 24 pounds, while bred turkeys can surpass 40 pounds. Their gobbles can be heard up to a mile away. OK 204 million pounds of wasted turkey. Let’s assume 30% is bone and 15% is moisture we have 112.2 million pounds of wasted protein and fat. For the sake of analysis let’s assume the protein and fat averages 6 food calories per gram. Doing the tedious math of converting grams to pounds and food calories to BTUS we get that 1.205 million million BTUs of food (chemical) energy winds up in the trash. A gallon of gasoline has 115,000 BTUs. Therefore the discarded turkey after thanksgiving had the chemical energy equal to 10.5 million gallons of gasoline. Assuming 100 million households bought turkeys this means each household wasted one tenth of a gallon of gasoline worth of chemical energy by not eating the remaining turkey. After a week of eating turkey leftovers I am sure there are some among us who would prefer to drink 12.8 fluid ounces of gasoline rather than swallowing another bite of turkey. After writing about Kior, I am reminded of the Dr. Seuss book the Lorax. In the Lorax the Once-ler was a greedy industrialist who felled all the Trufulla Trees to knit Thneeds his comical yet versatile yarn for socks, shirts, hats and even carpets. Of course after all the Trufulla Trees are felled, the Once-ler’s enterprise fails and the Once-ler lives as a recluse in the Street of the Lifted Lorax. A young boy visits the Once-ler and pays the Once-ler 15 cents, a nail, and the shell of a grandfather snail to explain why the area is so run down and dilapidated. Well Folks we now have the sequel to the Lorax and this book is The Morax. Remember children M comes after L in the alphabet. In Latin Morax means “that delays’ or “that stops”. In demonology The Morax is a daemon that is the President of Hell. 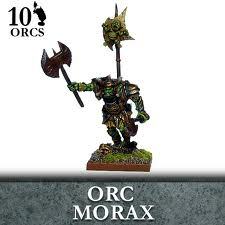 In the Morax we do not have the Once-ler. We have the Mega-lors who live on the Crooked Sand Hill Road. They are the megalomaniacal VCs who have screwed us over and over with their UnTrufulla yarns of making biofuels from trees, grass, straw, and even seaweed. The definition of the Mega-lors is a psycho-pathological condition characterized by delusional fantasies of renewable power, relevance, or omnipotence. Unlike the child who spent only 15 cents , a nail, and the shell of a grandfather snail to hear the story, we paid tens of billions of dollars to live through this thermodynamic fake out. The timber barons in Northern California tried to ban the Lorax in public schools. I got a feeling the Morax will be banned in Silicon Valley. The sequel to the Morax is not the Norax but is the Moraxella. Moraxella are rod shaped pathogens that cause infections in humans. We simply have nothing to look forward to. 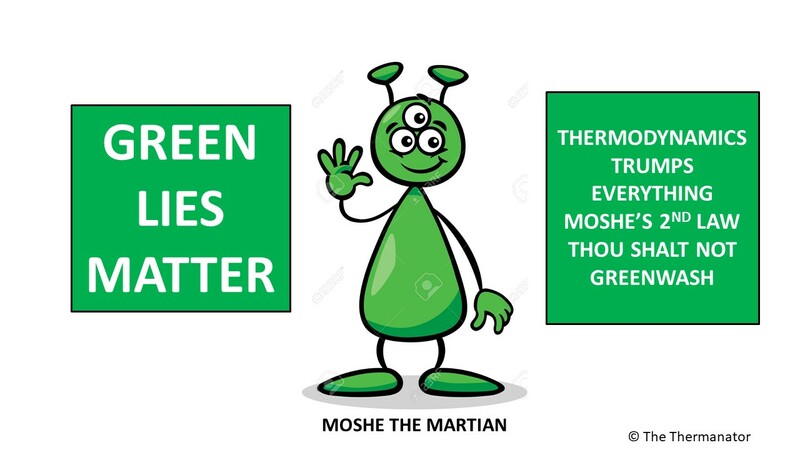 I have blogged several times that KIOR an alternate green fuels company is bound to fail based on my chemical engineering analysis of their technology. 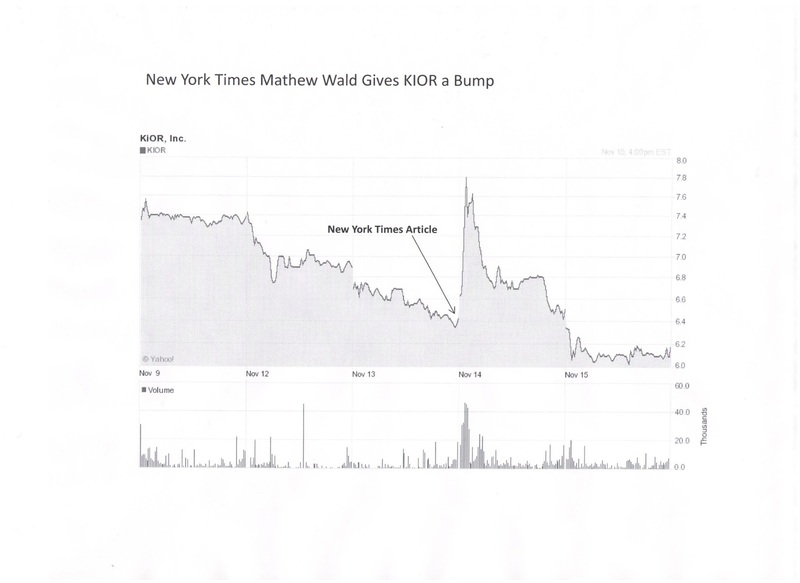 The New York Times and their long time energy reporter Mr. Mathew Wald caused a market disruption in the trades of KIOR stock on the NASDAQ on Wednesday November 14th. The stock closed at $6.42 on Tuesday, November 13. Just 30 minutes into trading, by 9.59 am on the 14th the stock was up by $1.40 a share and trading at $7.82. The volume of shares traded was heavy. The reason for the uptick was an article written by Matthew Wald in the New York Time both in print and online that was titled Fuel From Waste, Posed at a Milestone. “So far, such alternative fuels have not moved beyond small pilot plants, despite federal incentives to encourage companies to develop them. Officials at two companies that have built multimillion-dollar factories say they are very close to beginning large-scale, commercial production of these so-called cellulosic biofuels, and others are predicting success in the months to come. In Columbus, Miss., KiOR has spent more than $200 million on a plant that is supposed to mix shredded wood waste with a patented catalyst, powdered to talcumlike consistency. Its process does in a few seconds what takes nature millions of years: removes the oxygen from the biomass and converts the other main ingredients, hydrogen and carbon, into molecules that can then be processed into gasoline and diesel fuel. By close of trading on November 14 KIOR was all the way back down to $6.50 a share when investors realized that the New York Times article was simply a glowing attempt by the darling of the main stream media to portray KIOR in the best possible light and that the article simply was a rehash of company news releases and had no real news worthiness. KIOR stock closed the week on Friday November 16 at $6.19. “Yet even when solar and wind power work well, they mostly serve as a substitute for natural gas, which is quite cheap at the moment. Renewable substitutes for natural gas do not replace imports from unstable places like the Persian Gulf, as the biofuel would. 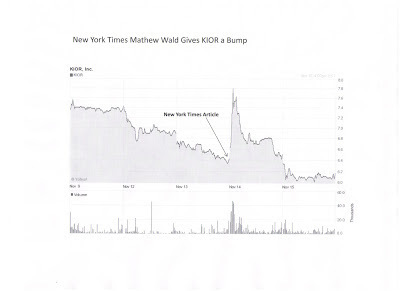 One has to believe that Mathew Wald had a change of heart about Kior’s prospects in the five days between the 8th and 13th of November. He went from “details on any challenges faced by the $200 million plant were not forthcoming” to “but that could be about to change”. The New York Times must take responsibility for their reporter Mr. Wald and for both articles they published. The second article caused some to win and some to lose their money on KIOR in trading of the stock on November 14th. In other “green news” the President and AG Holder will claim success that BP admitted to a felony and settled with the US justice department for $4.5 billion dollars as fines for their pollution of the Gulf of Mexico. What will not be reported in the Main Stream Media is that BP gave up on their advanced cellulosic ethanol project in Florida and that the advanced biofuel industry is another thermodynamic non-starter. For the record Condi Rice, the ex Secretary of State, is on the board of directors of Kior. This is enough to make even the folks in the green party sick. The following is an exclusive report from Reuters today. Nov 16 (Reuters) - The Obama administration provided struggling battery maker A123 Systems Inc with nearly $1 million on the day it filed for bankruptcy, the company told lawmakers investigating its government grant. The company, which makes lithium ion batteries for electric cars, filed for Chapter 11 bankruptcy protection last month after a rescue deal with Chinese auto partssupplier Wanxiang Group fell apart.